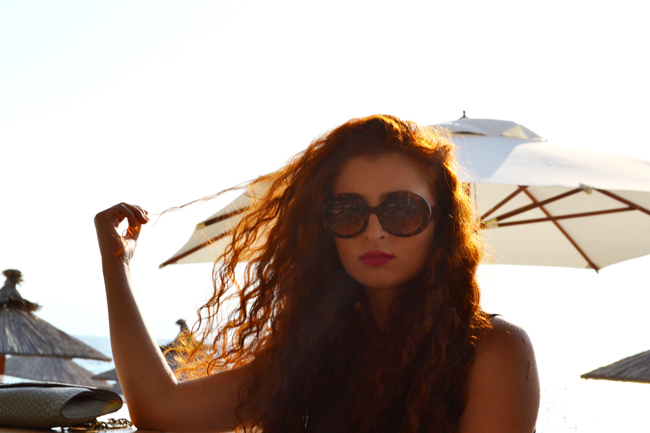 So here are some more photos we took in Chalkidiki. These are taken in a complete different time than those of the previous post. These are taken at about 8 pm after a night of non-stopping clubbing. No no I'm not a party animal person, I usually prefer nights with movies and board games but clubbing is not that bad once in a while especially in summer and even more when on vacation :D We took these photos exactly when we came back, at a beach bar near our place which apparently was completely empty at that time. What do you think about my outfit? Is it ok for a clubbing night? Oh my god your look is so perfect ! Love the hair like always ! Μια χαρά outfit Ράνια μου!!! Μου έκανε εντύπωση το κραγιόν!!! Beautiful place and you look so stunning! what a cute outfit! I can't believe the lipstick stayed on so long too! Love your outfit. You look great even after 8 hours of partying! you look amazing. 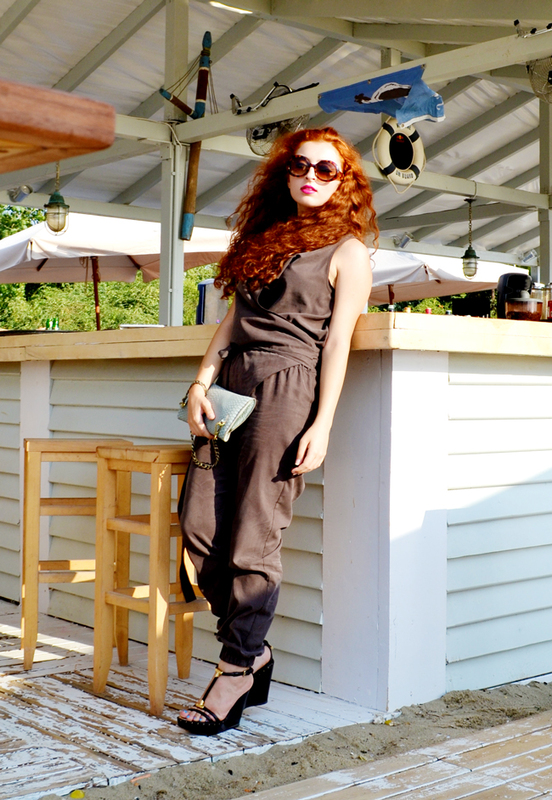 beautiful hair, cool jumpsuit!! Para poli wraio sinolo gia clubbing! Kai autes oi platformes sou me trelainoun! P.S. Giati xanaekleises tin epilogi name/url? eixes polla spam? Since you have your new hair color I'm loving even more your pictures and outfits. You look really cute now. Egw evala to myth sti vaftisi kai se mia wra htan san na mhn eixa valei katholou!!!!!! Thank you for your kind words darlings! Ναι ναι μου κράτησε τόσες ώρες,κ γω δεν το περίμενα!